Just a little glimpse at a few outfits that never made it to the blog + some of my favorite things lately. i have SO many ootd pics that never make it to the blog! i love your farmers market outfit! can't wait to see you on pink peonies!!! I love all these outfits! I love the birdie top – so much fun. I am really loving the stripes & polka dot cardi. So many great looks I don't even know which is my favorite! Love the vintage finds though! Love the Essie nail polish bikini so teeny too!!! I love these pictures especially the nail ideas – super cute! I love the clutch in the first pic..and love the polka dot nail..going over to guest spot now.. I love all of these pics…so pretty! 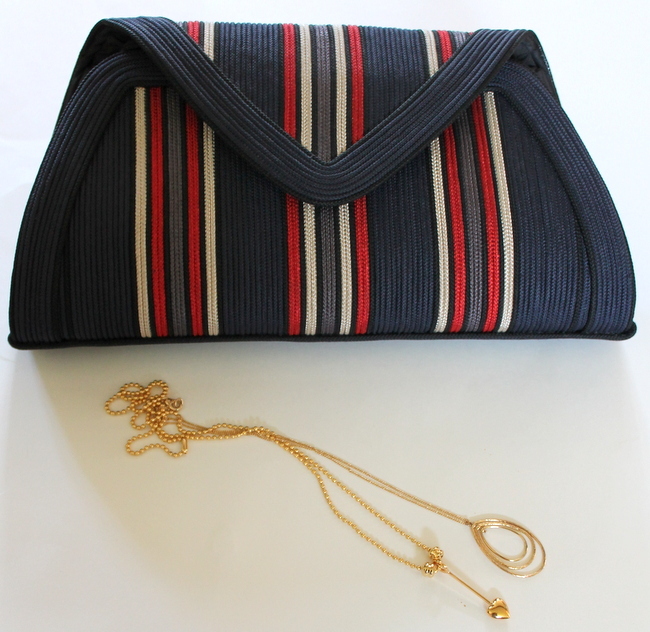 That vintage clutch is amazing! Great find! 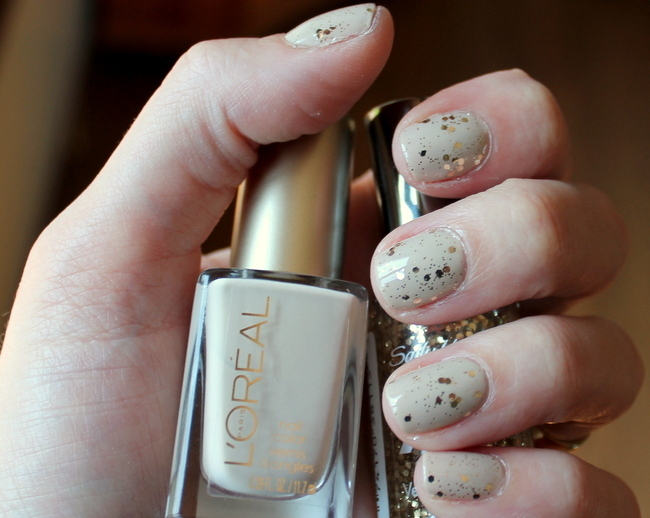 Love the subtle gold sparkle nails too! Love both manis and those mustard pants!! Great pics! Always love all of your manicures, and will be recreating them for sure! The last outfit is gorgeous. Love those pants! I'm so glad I found your blog through Pink Peonies! I love it–you're adorable! so many fun outfits that never made the cut. Going to check out that gap sweater asap. adoring the look. 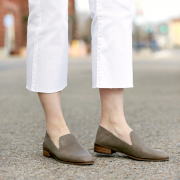 i seriously love all the OOTDS that didn't make it to the blog! the last one is my favorite! I love your church outfit. So pretty and classy! Congrats on the guest posting…I'll have to check it out later. I love that last outfit! Those mixed prints worked perfect.. i'm just not brave enough! so glad to have found your blog! so many great looks! I like the mustard jeans with the mixed patterns…gives me an idea! All such great outfits…I am LOVING that last one! Great outfits! I just ordered the polka dot cardigan and striped tank. Can't wait to put them together. Thanks! I love your Saturday farmer's market outfit! Adorable!!! Love the subtle sparkle nails! These are AMAZING photos! 🙂 And that F21 trench!? MUST HAVE!!!!!!! I can't believe all this fabulousness never made it to the blog! Love your print mixing with the fun yellow pants! These are all great outfits! Makes me look at Old Navy in a different way! I've been missing our apparently! found you from your post over on pink peonies… you have yourself a new follower!! Such adorable outfits and cute nails! Oh my! You break the mold of what a "mom" looks like. Absolutely gorgeous and such put together styling. 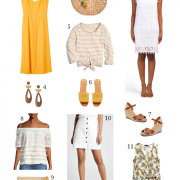 Wish all these outfits would've made it to the blog!! I love them all. You look beautiful. Came to your site from your guest post and I absolutely love it!! So cute. I just found your blog through Pink Peonies! I love it! I'm now following you on bloglovin' 🙂 I would love it if you visited my blog! I love this post! A little bit of everything! Especially into the navy blazer w/ gold buttons!. Looks great! loving your polka dot nail!! Poka dots and stripes. Cool! Yeah, I just bought this the BarIII top, love that they now ship to the UK! Love all these photos! 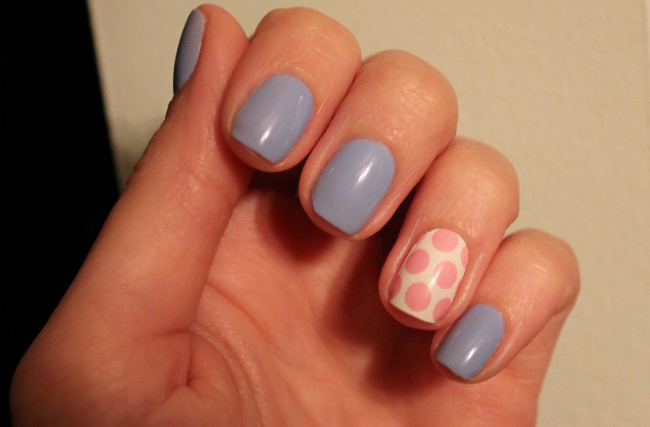 I love the manicure with the one polka dot finger! Also that last look is STUNNING! I love the last look. It's super cute.